I have a confession to make: I've been a struggling gardener since moving to Oklahoma almost 15 years ago. The soil dirt here is challenging. The weeds are prolific. Summer is unbearably hot and dry. And I really didn't know much about gardening when we moved here (I could grow great tomatoes though!). But I jumped in with both feet. I really wanted (and still want) to grow a large portion of the food on our table. I had a lot more failures than successes, but I'm persistent stubborn and I kept trying. Each year I try to grow something new, or a new way to grow something familiar - last year it was potatoes in a trash can and sweet potatoes in a sink. I grew cabbage for the first time two years ago. Hubby loves it and I don't hate it; while I'm not crazy about stuffed cabbage, I do like cabbage in soup and other dishes. But I've had to battle cabbage worms (and squash bugs too, but that's another problem that needs a solution). 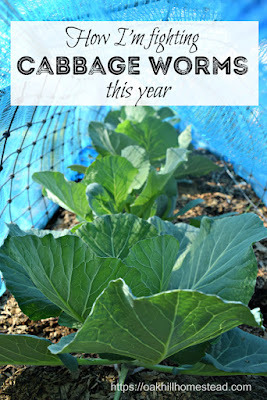 I wasn't even going to plant cabbage this year because of the cabbage worm problem. Those cute little white butterflies that flit around your garden in spring? They're laying their eggs on your plants. Eggs that will hatch into cabbage worms. Not so cute anymore, are they? 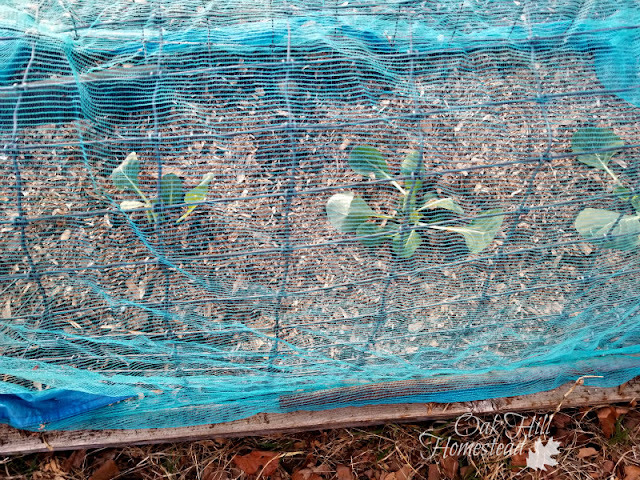 Eventually those eggs will hatch and become small caterpillars that munch on your broccoli, cauliflower, Brussels sprouts, cabbages, radishes, turnips, rutabagas, kohlrabi, collards, kale, and mustard greens. 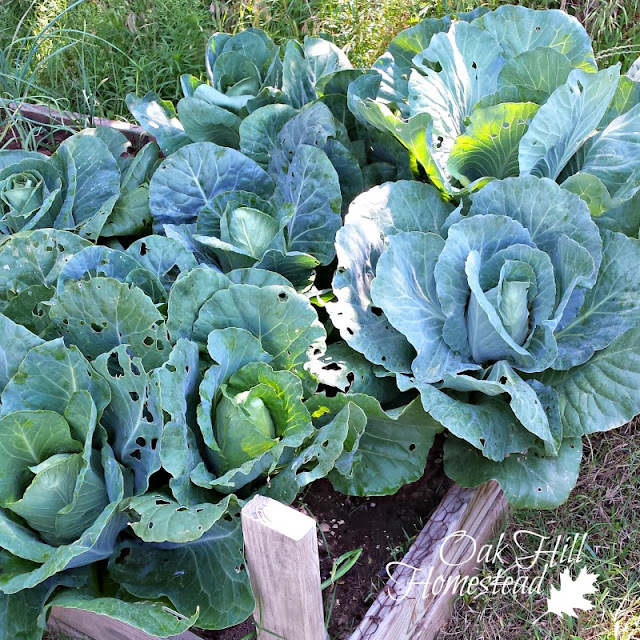 These "cabbage worms" chew into the heads of cabbage and other crops, leaving unsightly holes and tunnels. Their droppings stain the leaves - I'm not eating that. 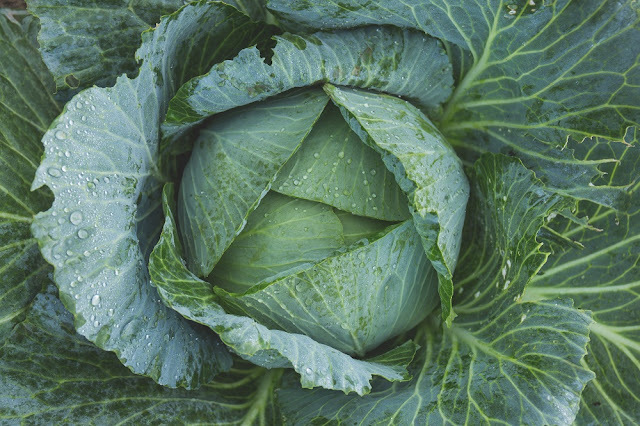 Left untreated, a large infestation of cabbage worms can kill your plants. If you're not checking under the leaves for pests, you'll eventually find holes in the leaves as evidence of your infestation. That's what happened to me. 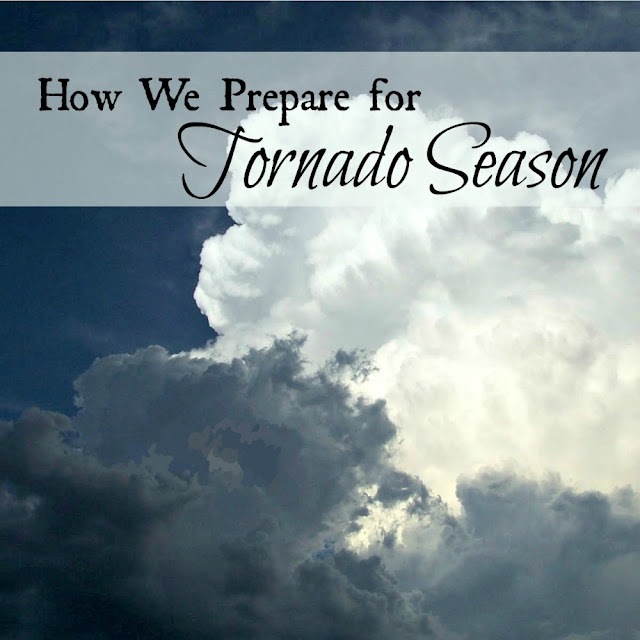 I tried picking off the little caterpillars several times a day (that's a real chore!) and then tried a homemade garlic spray that was effective to a point, but I still had to pick pests off the plants. Some fell off before I could grab them, so they escaped and continued chewing on my plants. We used to have one of those pop-up screen houses - the kind that is "easy to set up." Don't let that advertising fool you, they are NOT easy to put up. So a couple of years ago we gave up and threw it out. Actually, I don't think any of it went in the dumpster: the solid parts of the fabric have been used as a tarp, and I saved the mesh sections because I knew someday I'd have a use for them. 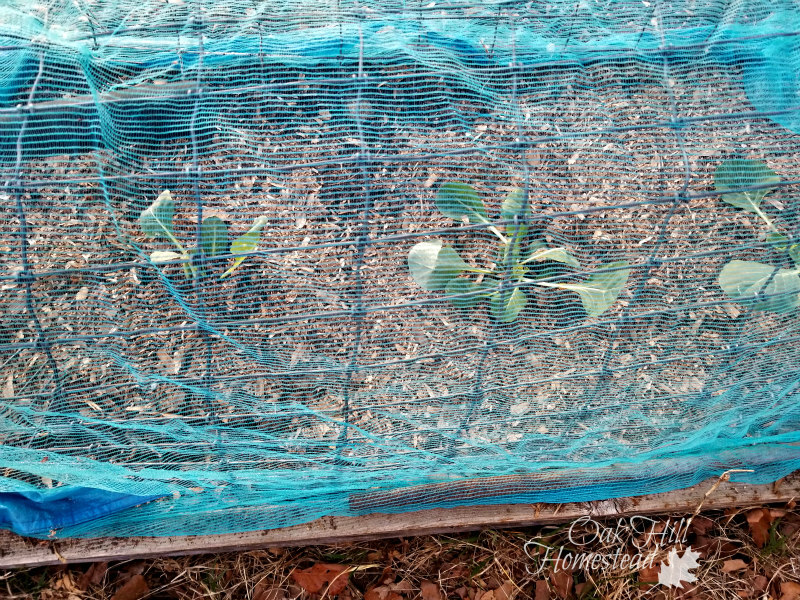 This spring I used some scraps of wire fencing to form a "tunnel" over the cabbage seedlings when I planted them. The mesh was spread over the tunnel and secured with clothespins, and I used the poles from the screen house to hold the mesh against the ground along the sides and ends. I was very careful to bend any sharp ends of the fencing downwards so it won't snag the mesh. I'm hoping that those little white butterflies won't be able to lay their eggs on my cabbages, which will mean no cabbage worms! This mesh is perfect for keeping the butterflies (or are they really moths?) out while letting in sunlight and rain, but if you don't happen to have a discarded screen house to cut apart, go buy some nylon netting from the fabric store. 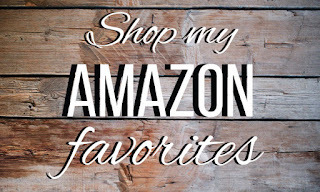 Buy the cheap stuff; you don't need bridal tulle for this project. The nylon netting was less than a dollar a yard in my local fabric store last week. There are three different kinds of fencing that form my tunnel. You know I'm a big believer in using what you have. My plan for taller cabbage-worm-prone plants such as broccoli? Maybe I'll buy mesh pop-up laundry hampers and invert them over the plants. 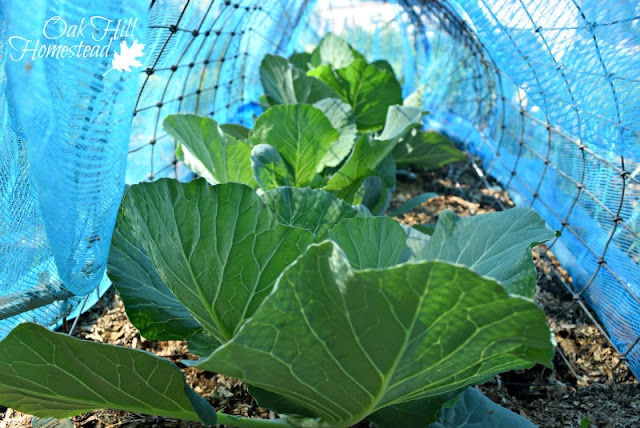 Or use that nylon netting I mentioned earlier and somehow make a larger structure to cover the plants. 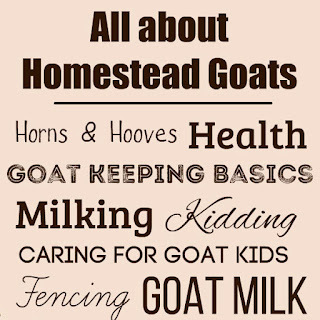 We all have a gardening problem of some kind; what's yours? Rabbits or deer? Cabbage worms or another pest? I challenge you to do some research and brainstorm a way to prevent or fix the problem. Experiment and see if it works - and if it doesn't work, try something else. 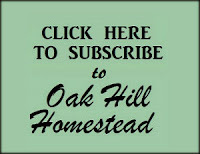 Leave a comment at the end of this post and tell me about your biggest gardening obstacle. I live in Phoenix and struggle to garden here too. But there are plenty of people here who have got it figured out. It seems best plan here is to create micro climates with planting trees and use lots of chipped up trees as mulch. Many here also cover there cabbage with netting to keep out the moths and seems to work well. I but lill curtains from Ikea. They are made from mosquito net and work well and very cheap. $5 for a pair and lots of sturdy fabric. 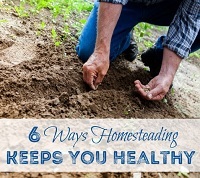 Great tip - $5 is very affordable and mosquito netting would be perfect. Thanks, Gramma Connie. Thanks for sharing Kathi! We all struggle with the creepy crawlies getting to our crops before we do! I like using natural methods to combat them and physical protection, as you did, and cover the plants to prevent access in the first place! The key seems to be timing, right, Frank? I learned that lesson last year when I "intended to" cover them and waited too long. We ( my daughter-in-law and I) are learning canning, bread making and other ways to preserve our food. This was all stuff I did when I was in my early 20s now starting into my 60s,but haven't done since. Also plan to start learning to quilt again. My cabbage seedlings never germinated this spring, so I don't know if I'll plant any cabbage. (Hubby doesn't like it, I do!) But I do want broccoli and Brussels sprouts, so I need to try this. 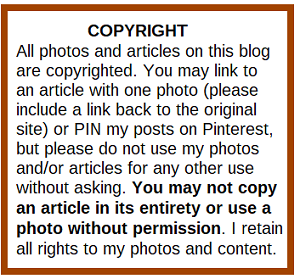 Thanks for sharing, Kathi! Bummer that your cabbage seeds didn't germinate, Lisa! I understand what you are saying, I have moved across Canada and have gardened in four different climates and zones. Its a big learning curve that's for sure. The biggest thing we struggle with on the farm is squash bugs.. they are the worst because I grow a large amount of squash, pumpkins and so forth.. I hand pick daily, I use a number of tricks but they are always my worst one to deal with each garden season. I also cover certain crops to help prevent loss, I have a moveable chicken pen that was built to fit over my standard 3 food wide free form beds, and I use the chickens to clean the soil between plantings. I find it really helpful. The other thing I use a lot of are trap crops, I have found them to be worth the time to put them in the gardens. Val, I've fought a losing battle against squash bugs the past couple of years and haven't figured out how to win. I'm intrigued by trap crops. I haven't tried that in the past because my garden space was small and I didn't have enough room for "extras". 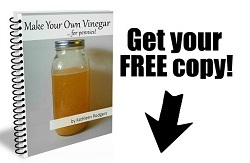 The chicken pen is a great idea; it would eliminate any bug eggs in the soil too. I've been brainstorming ways to use my chickens in the garden so I love this. That's a good idea to put up a 'skeleton' frame for the mesh fabric. I love that idea! 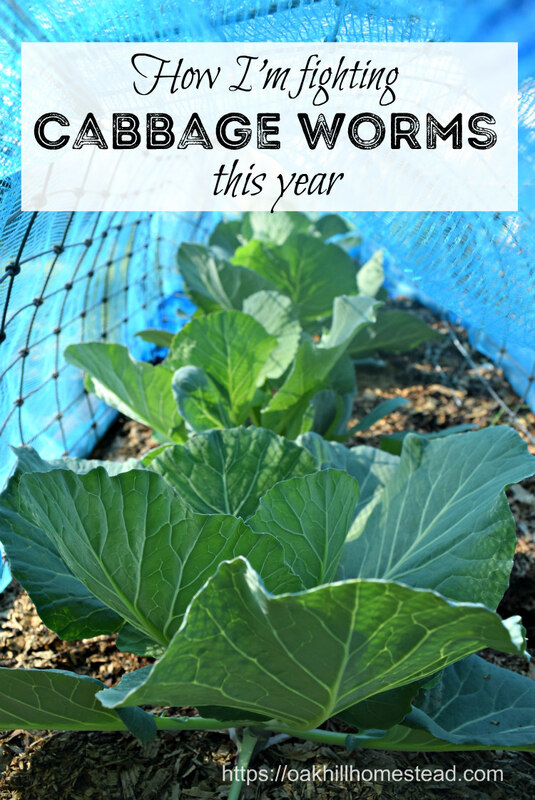 We had problems with cabbage worms last year, but this year the fluctuating temps might've helped to hinder them. Time will tell. The real test this year will be the squash bugs. I'm planting squash a little later than normal to see if that makes a difference. The bugs aren't quite so rampant once it gets hot. I don't even have my squash in the ground yet, so if your theory that planting it later works out, it might benefit me too! I talked to someone who said she only plants squash every other year and doesn't have a problem with them; that the eggs hatch the next year but there are no plants for them to eat... and then following year there aren't any eggs to hatch. Now there's an idea. If planting them later doesn't work, I might try the every other year idea next. 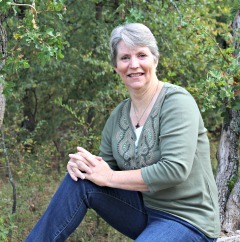 Thanks, Kathi! Smart idea and I will be using this in our garden. Check out the Dollar Tree -- they have the mesh hampers for $1.00! Thanks for the tips!